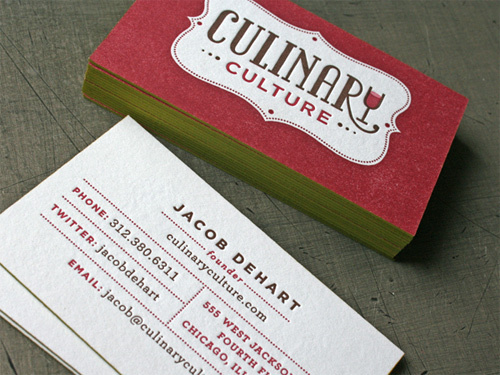 We letterpress printed these cards on 220lb Crane Lettra, 100% cotton stock. They are printed three colors on the logo side and two colors on the text side. Additionally, the logo side needed the dark red run as two passes - something we often do in letterpress when there is a solid area of color and text on the same plate. The heavy ink density needed to cover a solid versus the light ink density for text lets the type remain crisp and the solid run as saturated as possible. Letterpress printed by Studio on Fire.